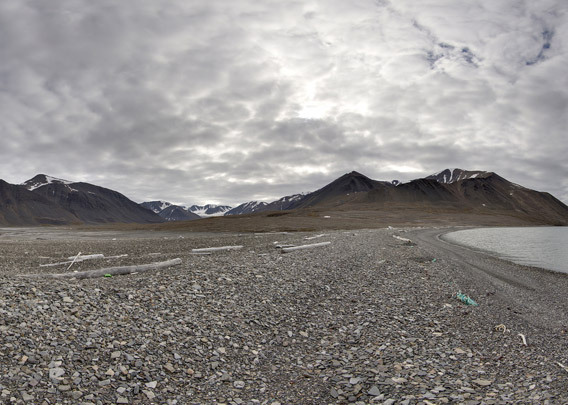 Mushamna is a bay on the east side of Woodfjord on the north coast of Spitsbergen. The bay is actually a lagoon, almost completely cut of from the fjord by a long, narrow gravel bar. The entrance is just a few metres wide, but large enough for small ships to enter, which can find a well-sheltered anchorage inside. There are a couple of huts a short way north of Mushamna. In this lonesome arctic wilderness, they almost make the impression of a little settlement. The most eye-catching one is a large trapper hut built in solid log-cabin style. This is pretty unusual for Spitsbergen, where most trapper huts were built in a very simple and less solid way with wooden boards. This one was built in 1987 by the Norwegian dog-sledge-man, adventurer and hunter Kjell Reidar Hovelsrud, who narrates his adventures in his book Svalbard: Et eventyrlig polarliv (Norwegian). There are a few small buildings next to the main hut, including a little sauna. Later, Hovelsrud handed his hut over to the Sysselmannen. Since then, it is locked. 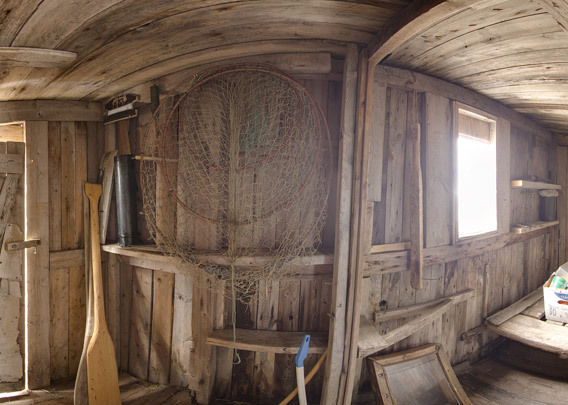 This second hut is more like the way most trappers’ huts were built in Spitsbergen. It is much older and dates into the most active years of Norwegian wintering trappers. 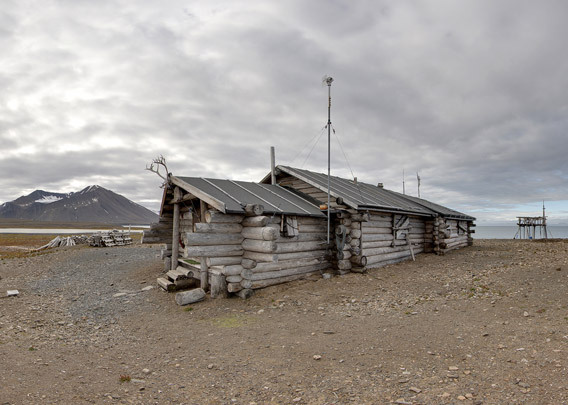 It was the famous trapper Hilmar Nøis, who lived almost 40 years in Spitsbergen, who built this hut in 1927. Nøis called it Svendsen Bay, after his Swedish neighbour who lived in Raudfjord. Today, it is a protected historical relict and not used anymore. Nøis had a couple of huts in the Woodfjord and Liefdefjord area, including the famous one at Gråhuken where Christiane Ritter wintered (“A woman in the polar night”) and Texas Bar in Liefdefjord.